You may have heard yesterday something about how the Department of Transportation (DOT) was investigating maintenance practices at Allegiant and American. That’s not exactly right, there’s another layer involving the Federal Aviation Administration (FAA) here, but regardless it was quite the surprise to a lot of people. I should clarify. Nobody was surprised to see Allegiant getting additional scrutiny, but why was American singled out? At first, I wondered if this was just a case of poor memo-writing. That has added to the confusion, but there’s more than that. There’s something else going on here, and I can’t quite figure it out. After investigating two airlines (I believe these to be Allegiant and American, but I can’t officially confirm it), DOT found that FAA had moved from enforcement actions to trying to work with airlines to fix root causes of non-compliance. DOT also found that relationships between airlines and FAA offices can vary greatly. Apparently this was based on just observing the two chosen airlines. DOT pored over FAA Hotline complaints about two carriers (it isn’t clear, but it appears these are also Allegiant and American) to learn more. Then in April, the problematic 60 Minutes piece on Allegiant was aired. There were, unsurprisingly, a wave of requests from Congress once again to look into all of this in the name of justice, or something like that. This might sound like Reactive Government 101. “If the news talks about something bad, make sure you look like you’re doing something to fix it, regardless of whether you are or not.” But in this case, it’s definitely the right thing to follow up that report with scrutiny of the FAA. Again, nobody is going to be surprised to see Allegiant under greater scrutiny here. But American? And no other airline? That’s odd. American Airlines was shocked to learn of the Office of Inspector General’s review and we stand by our strong safety record. Our team is working to understand why we are part of its review. We welcome all oversight from the federal agencies involved in ensuring the safety of the traveling public and are proud of our partnership with the Federal Aviation Administration. It’s not uncommon to be blindsided by something like this being released publicly before anyone tells the airline, but when that happens, airlines usually know what it’s related to. Here, it doesn’t sound like American knows. So… why? It’s hard to know exactly what’s going on here. I first flashed back to what got Allegiant in trouble with 60 Minutes. Remember the SDRs that I looked at in my 60 Minutes post? American’s rates there were low. (See more here.) That’s not the culprit. Then I learned something that gave me a hint. After talking to some people, it sounds like the FAA Hotline reports seem to have played a big role in choosing which airlines to scrutinize. I don’t know the details, but American must have had a high number of reports. Anyone can submit a report to the FAA Hotline at hotline.faa.gov, so it’s not a closed system by any means. People who submit information can opt to have it kept confidential or they can even remain anonymous if they want. There are great reasons for this since people don’t want to be retaliated upon for reporting safety issues. But it’s also a system that can be abused. Remember, American has been in long-lasting negotiations with its mechanics. In fact, talks were just cut off yesterday after failing to result in an agreement. It’s always possible that unhappy labor could result in more reports, and that could trigger the investigation. Sadly, we’ll never know the real reason. We’ll just know the outcome when the review is finished. It’s also important to remember that this is about watching the FAA’s oversight of American, so there could be something about the relationship that made DOT think twice. The FAA Hotline reports could have just been the trigger to cause them to look. This could be more about the FAA than it is about any single airline. It’s not clear. Now all we can do is hope for a speedy conclusion to this investigation. I wish more information was released about what exactly DOT was trying to find, but it wasn’t. I know this won’t impact whether I fly American or not, but I’m certainly curious to learn more about what exactly is going on here. The common theme seems to be labor. American and Allegiant both had/have employee relations issues regarding flight operations/maintenance but then Southwest also is still working to get a contract with its mechanics and they didn’t get dragged into this. 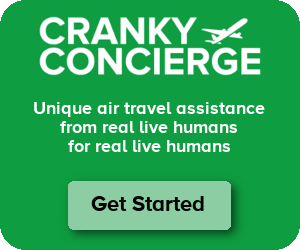 The likely connection to AA is hotline calls and the DOT memo indicates they are looking into that process and the FAA’s oversight. The question is why/how the DOT IG got involved in that process even if AA had an above average number of calls to the hotline. Also, I believe there have been issues with the N. Texas FAA office regarding compliance vs. negotiation for improvement. Since AA and WN are both headquartered in N. Texas, it raises the question if this isn’t a structural issue within the FAA – but WN and AA have both received very large fines in the past. Hard to know what all is involved. And I would tack on this bit of information, which explains FAA’s Compliance Philosophy, adopted in 2015. People *poured* out of the stadium after the match. People sometimes misuse pour in situations where pore is correct. To pore (*over* or through) means ‘to read or focus on something intently’, as in: She spent all weekend poring *over* her textbooks in preparation for the exam. I am sure it wasn’t done on pourpose. The FAA philosophy used to be that they focused on paperwork. Get that wrong, and it was usually followed by investigations, letters, and fines – and usually (but not always) over menial tasks. That philosophy had to change, and it looks like it has – being cooperative appears to be the new approach. Yes, I think it’s time to check on the FAA, but let’s not throw out the baby with the bathwater. They (and airlines) also do excellent work. AAR provides maintenance services to Allegiant. Did someone at the FAA not know that AAR is not AA’s maintenance subsidiary. It might be a far fetched idea, but you never know. Once you accidentally open an investigation into a company, you can’t stand up and say, Uhh we actually mixed up the names in the press release. Imagine how that would go over for public confidence of the FAA’s competence. Could this have anything to do with the MD 80 wiring issues from a few years ago? The memo mentions mergers. Maybe that’s part of the reason American is part of this. Like everyone else, I’m extremely surprised that the DOT thinks AA needs a special maintenance investigation, but if I were a betting man, I’d bet it’s labor related. BTW, does anyone know how political this process might be? And are the people calling the shots on this Trump people, Obama people, or neither? I’d caution against jumping on the “it’s a result of a contract dispute” bandwagon. The two may be correlated but understanding the situation from an insider’s perspective requires a willingness to appreciate some nuance. While I’m not going to write a dissertation here, I’ll make quick mention of the reality that mechanics tend to work to the letter of the Aircraft Maintenance Manual during labor disputes and refuse to accept the risk of making judgement calls. Working by the book is precisely what A&P mechanics are supposed to do, but lets face it, if they did, very few flights would ever leave the gate.